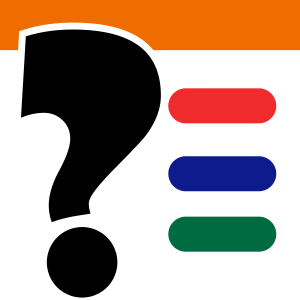 Use TechnoTrivia activities to make a quiz in Google Forms. Elementary and middle school students create a trivia game. They formulate questions to test friends’ knowledge about a topic. By setting the answer key an automated system calculates points and sends quiz results. TechnoTrivia includes extension activities. Challenge your students to host a Battle of the Brains, team up to build a Trivia Game, or make a Pick your Own Ending story. As well, additional activities explain how to include a video or manually mark a short answer question. Discover how creative your students can be when using Google Forms! In TechnoTrivia your students learn how to formulate questions, create an answer key, and customize quiz settings. They ask a range of question types including multiple choice, checkboxes, and dropdown. A point value is applied to each question. The value can be the same for each question or increase based on the difficulty level. 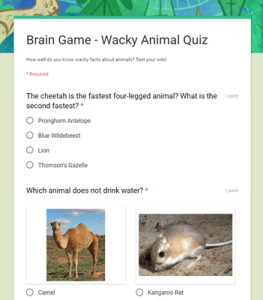 Feedback is added for incorrect and correct answers to offer quiz takers encouragement or additional information. Students learn how to set the quiz to automatically calculate a score and report the results. When you order TechnoTrivia, you receive a teacher guide, digital student worksheets, and customizable resources. Additional materials such as sample quizzes, assessment tools, and enrichment activities support learning. The activities are ideal for elementary or middle school students.